I made a black and white template and a colored template. Pick which one you need and print it out. 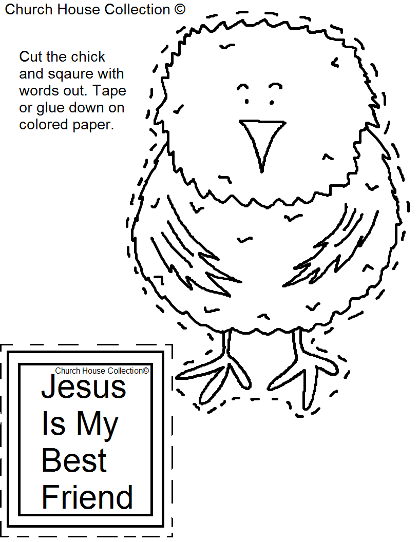 Have the kids color the chick first and then cut the picture out. Be sure to cut the words out too. Have them tape or glue the chick and sign onto some colored construction paper. 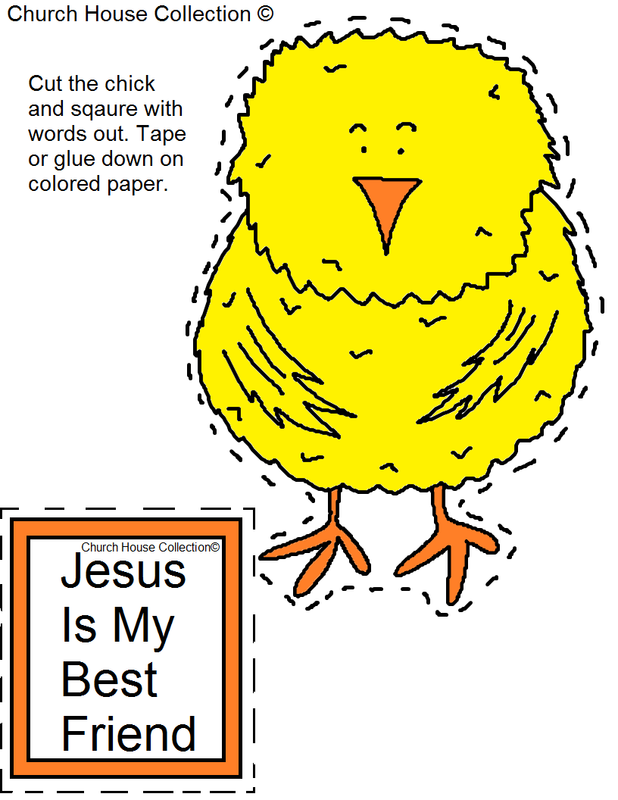 This cutout craft is great for small children. 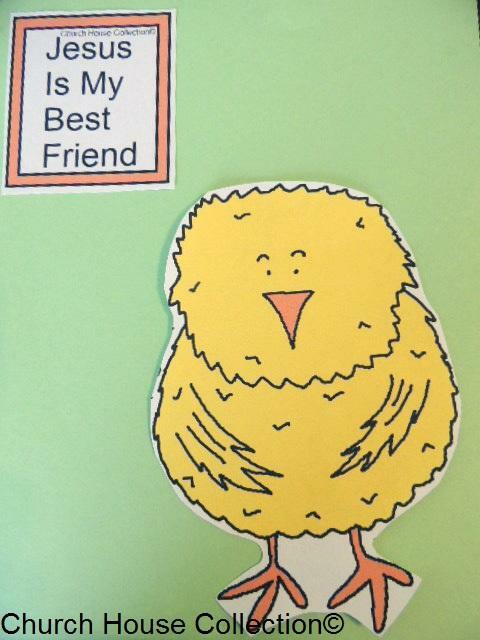 The small kids can cut on the dotted lines and it will make it easier for them to cut the chick out. For the older kids that can cut stuff out better let them cut the chick out a little better. This will make it a little more difficult for the older kids that get done quicker. Use this in Sunday school class or children's church. 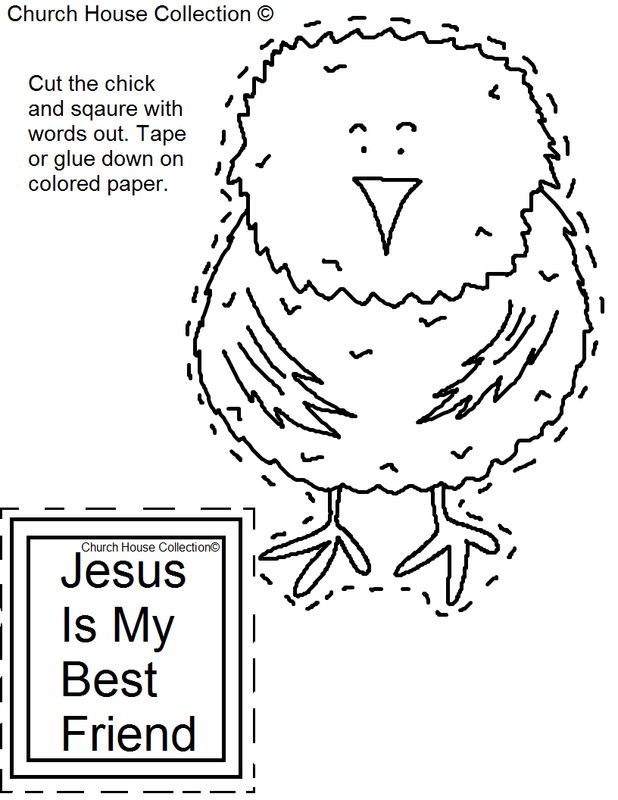 You could let the kids draw a background to go with the little chick if you want. For more fun cutout crafts just check out the rest of our crafts in this website. 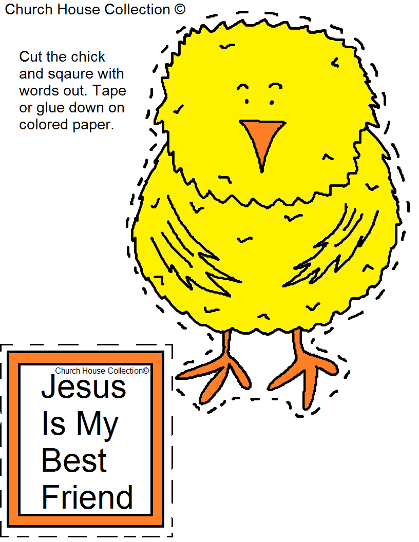 If you are looking for lesson plans that have matching materials to go with it like snack ideas, coloring pages, mazes then hop on over to our main site at www.churchhousecollection.com.